In Forex trading, you are likely to encounter different types of currencies. These currencies are traded in pairs, and each one of them has a unique spread. Typically, currency pairs are categorized into three; majors, minors, and exotics. Although each forex broker deals with their choice of currency pairs, this article delves into some of the primary currency pairs you will encounter in the forex market. Major currency pairs are the most commonly traded pairs. They tend to dominate the exchange industry, whether the market is calm or volatile. They have thin/low spreads, and you will likely incur lower costs when transacting with them. Majors typically have the Dollar (USD) on one end. Since the USD is the defining standard of the fiat system, the major pairs have the highest liquidity. At any given time, the majors account for up to a third of all the exchanges taking place globally. This is one of the most commonly traded currency pairs in forex. Plenty of focus is directed at the US and the Eurozone as they are both global economic powerhouses. Often, these 2 two tend to be affected by the slightest geopolitical changes. However, given the currency’s strength, the pair is suitable for day trading. Regarding spreads, this pair have tight/lower spreads due to its liquidity. Although experienced traders love the dollar-yen currency pair, it is one of the best for the starters. Due to its high liquidity, it has low spreads. The Pound Dollar currency pair has one of the market’s highest liquidities. As such, spreads in this pair are tight. Both currencies are extremely liquid, which explains their popularity among new entrants and experienced traders alike. Typically, a change in the Euro-Dollar pair triggers a positive change in the Pound Dollar pair. Switzerland has a reputation for being a money haven. As such, the Swiss Franc is considered a haven currency. Despite its relatively low liquidity compared to the other 4 currencies, the dollar-franc is a great pair to trade with. Trading this pair is known as trading the Swissie. Minors are also known as major currency crosses. These are currency pairs that don’t contain the US dollar on either end but have other major currencies in the pair. The minors contain 3 of the major currencies; the Euro, Yen, and Pound. The minors were created when people began requiring their money without having to change it into dollars, and with time, they gained popularity. The Euro Pound is a highly traded pair in forex due to its liquidity and strength. Due to its popularity, it features tight spreads. This is known as the Euro Swissie pair. The Swiss Franc does not have much liquidity, but it is a safe currency to trade with. The Euro Yen offers high liquidity and therefore tight spreads. It is also referred to as the Yuppy. The Pound Yen or the guppy also has high volatility so its spreads are typically tight. The Swissie Yen has two of the most favorable safe currencies, giving this pair tight spreads. Exotics may sound like another term for a non-conventional currency pair, except that it’s not. 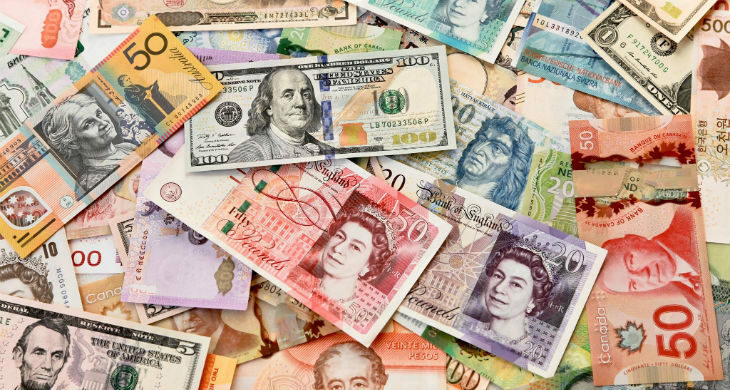 Exotics feature uncommon currencies that are doing quite well in forex. Usually, exotics belong to the economies of upcoming economic giants such as India, UAE, South Africa, and Brazil. Exotic pairs are made of one major currency against the currency of some of the rising economy’s currency. While some of these currencies are robust, they have low liquidity and, therefore, have much wider spreads and transaction costs. Exotic currency pairs are suitable for long-term holding. Hong Kong is a major financial hub. Still, its currency is not as liquid. Therefore, it can be classified as an exotic pair. South Africa is one of Africa’s top investment cores, and that makes the Rand a great currency. This pair is known as the dollar-rand. Mexico and the US have strong trade ties, making the dollar-mex pair a strong exotic pair to trade. The Danish Krone is a relatively stable currency which makes the dollar krone pair an excellent pair to trade with. The difference in spreads between exotic pairs and major pairs can be significant. The price action can also be unpredictable. These pairs require more caution and experience to trade effectively. Exotic pairs react to specific news and their movement can be highly erratic. Spread is the difference between the asking and bid price. If a currency pair is more liquid, it is likely to have a lower risk, and it has a tight spread. More liquid currency pairs are good for day trading, although there are exceptions to the rule such as the AUD/ USD and USD/CAD. Market conditions set variable spreads. During inactive forex market days, it is common to see spreads of between 1-2 pips (the unit by which the spreads are measured). However, when the market is volatile, numbers such as 30-40 pips become commonplace. Companies set fixed spreads for automatically traded accounts as they are not affected by market conditions. The trading company partly sets fixed spreads with extensions while market conditions dictate the other bit of the spread. It is important to note that forex trade is a high-risk capital-intensive field. Any trades need to be well analyzed before execution. If you are just starting out, it is wise to first flex your trading muscle in a zero-risk platform before moving your skills to active trading.